The Cornell Chimes are celebrating 150 years as the heartbeat of campus! The bells first rang out at the universityâ€™s opening ceremonies in 1868, and they have played for every commencement since then. The bells have also sounded for weddings, memorials, jubilations, and armistices. Join current and alumni chimesmasters for a weekend of celebration, bell ringing, and reminiscing at the chimesmaster reunion and sesquicentennial celebration. Items in italics are university-wide events. 6-7:30pm Spaghetti Dinner – Enjoy a casual meal with chimesmasters from your time in the tower. 7-9:15pm Fireworks and Laser Light Show – This musical concert, fireworks and laser light show is a Homecoming tradition! Look for a shout out to the bells? 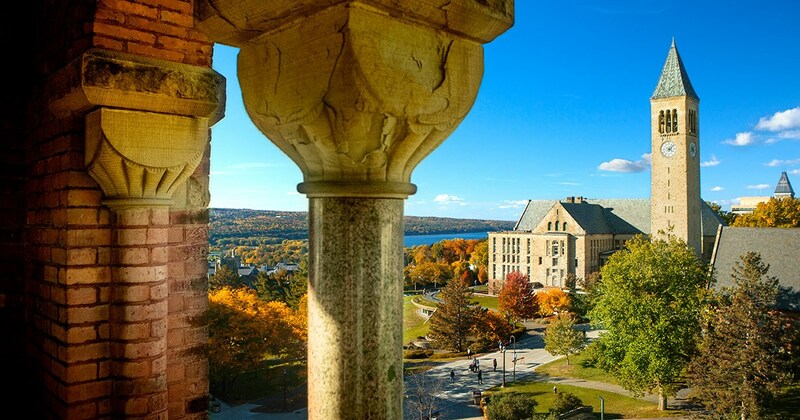 11-11:30am Chimes & Community Sesquicentennial Celebration – Take a walk through history as we listen to some of the Cornell Chimes’ most memorable songs, and sing along as we salute their 150 years. Enjoy music, memories, and free giveaways! There will be a hospitality room available from Friday afternoon through Sunday morning for alumni chimesmasters and their families to relax and reminisce.